With a solid track record of working with Maintenance, Repair and Overhaul (MRO) companies, the Clients First Texas team understands the complexity involved in the aviation and equipment repair industry: FAA requirements, serial tracking, tracking labor, expenses, inventory, customer service management, accurate quoting and more. It’s not unusual to find MRO organizations maintaining quotes on one system, while collecting time on another. 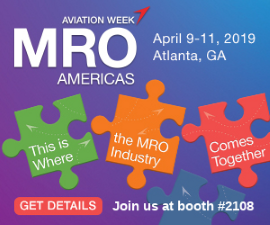 Unfortunately, without a complete MRO solution, data has to be re-entered, validated, confirmed and consolidated- making a simple task an expensive problem. The process from the quote to the invoice is moving faster and faster. What used to be efficient in managing data between systems is now obsolete. The time it takes to download inventory information from one software maintenance management system, format it, import it and post it into a new system is eliminated with complete and integrated maintenance management software. This is why Clients First has developed ProMRO applications specifically for the Maintenance, Repair and Overhaul industry. By leveraging one of the largest and trusted software providers in the world, the Dallas’ Fort Worth based Clients First team gives MRO organizations the power to manage their maintenance operations with visibility and control from the quoting process, through the invoice all the way to reporting. Dashboards and access are tailored to user roles, making their responsibilities easily accessible from one screen. Users no longer have to download inventory and post it to the maintenance management software system, inventory values can be displayed next to active projects, giving real-time access to decision-making data. But this is just an example. Imagine the implications of having integrated data for quotes, invoices and reporting. 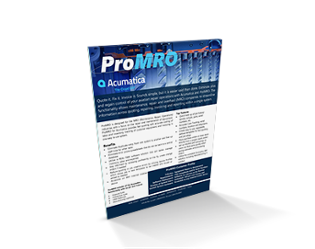 Organizations can attain a level of accuracy like never before. Our DFW based team recognizes that the complexity of a large equipment and aviation repair extends beyond the quoting and invoicing process. This is why we pride ourselves on the experience we have in implementing the top ERP products for Maintenance, Repair and Overhaul organizations. Give us a call today at 800-331-8382 to find out how we can make your next implementation a successful one.